Erect annual, reaching 3-6 feet in height, with distinctive seed pods and showy yellow flowers. 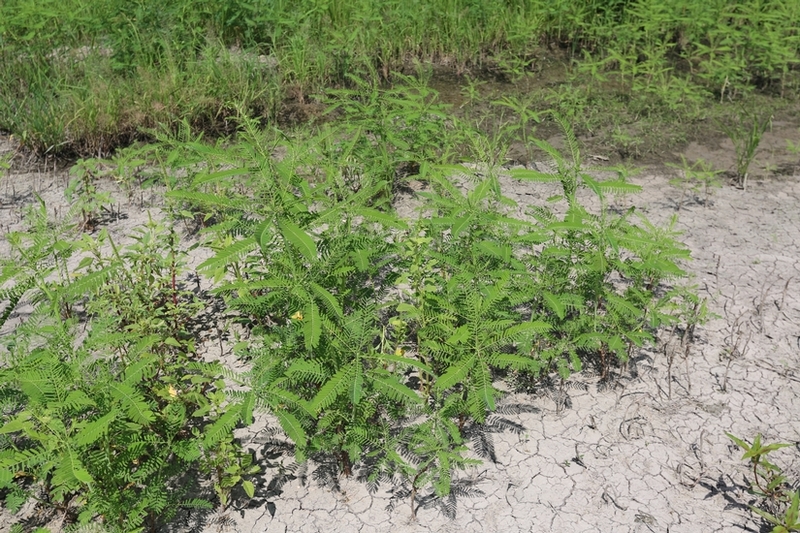 Primarily a weed of agronomic crops found in the coastal plain but occasionally in the piedmonts of North Carolina, South Carolina, Georgia, Florida, Alabama, Mississippi, and Virginia. Cotyledons spoon-shaped (2 times longer than wide), thick, green on the upper surface, gray-green on the lower surface, and without hairs. 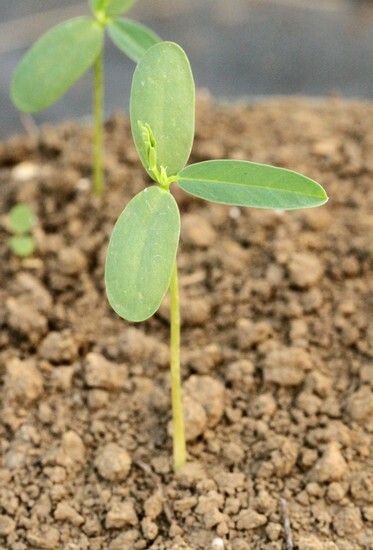 The first true leaf is simple, subsequent leaves are composed of six to eight leaflets that occur oppositely along the leaf axis (pinnately compound). Composed of 20-70 leaflets per individual leaf (pinnately compound). Leaflets are arranged oppositely, although individual leaves are alternate. Leaflets 1/3-1 inch long, 2-6 mm wide, without hairs above and somewhat hairy below. Green, without hairs, may become woody with age. Two to six individual flowers occur on elongated inflorescences with each flower occurring on a flower stalk (raceme). 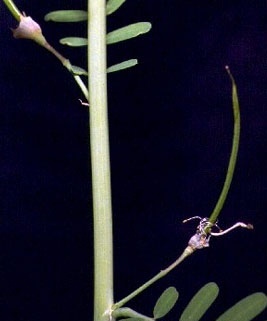 Each raceme arises from the area between the stem and leaf petioles. Flowers are yellow and may be streaked or spotted with purple, with the largest petal reaching 2/3 inch in length. 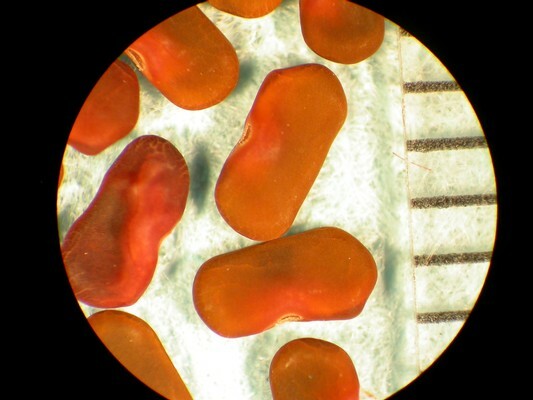 A legume containing 30 to 40 seeds. 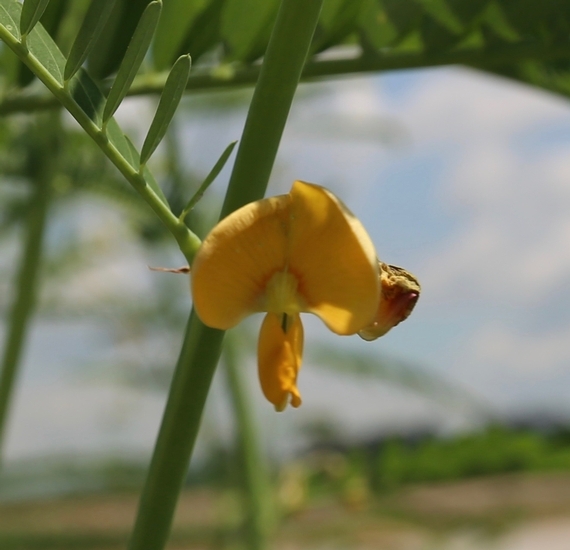 Legumes are linear, curved, 4-8 inches long, and often tipped with a small beak. Leaves composed of many smaller leaflets, large yellow flowers, and distinctive curved seedpod, often tipped with a beak. 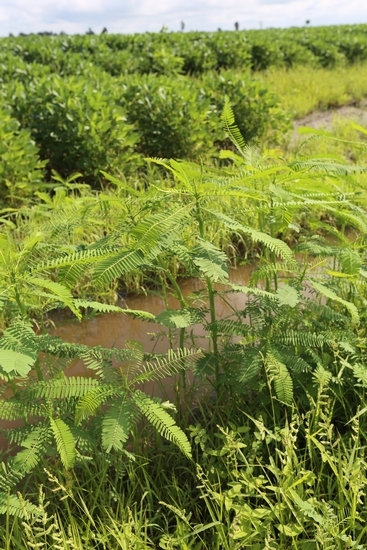 These features distinguish this weed from most other agronomic weeds, however seedling Mimosa (Albizia julibrissin) plants closely resemble those of Hemp Sesbania. 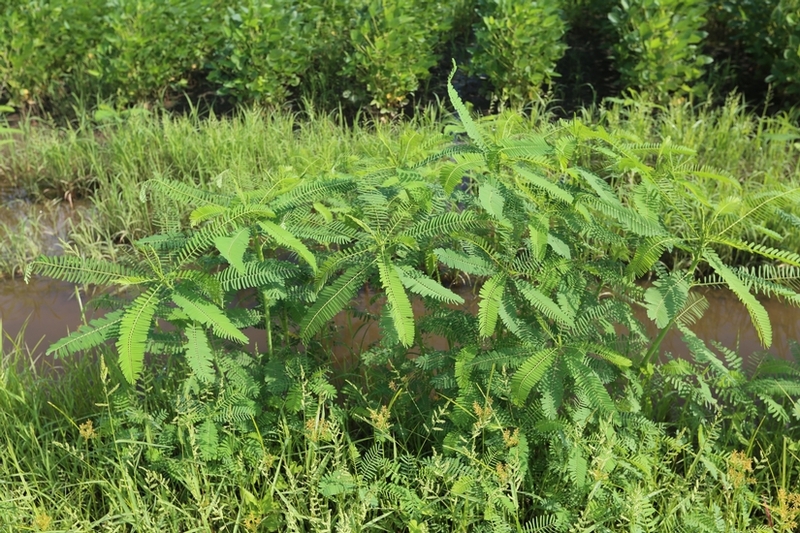 Mimosa seedlings are rarely encountered and will eventually become woody and develop into a tree that may reach 40 feet in height. 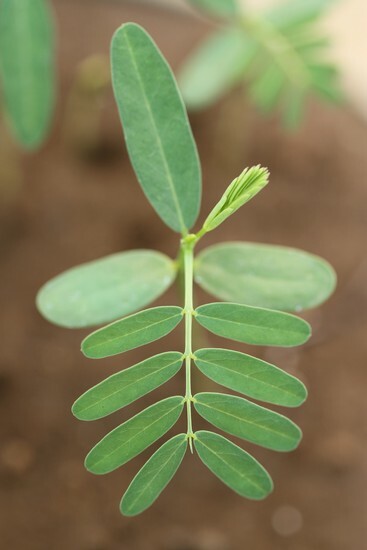 Additionally, with maturity the individual leaflets of Mimosa leaves become more tightly compacted to the point that neighboring leaves actually overlap one another. This is not the case with the much wider-spaced leaflets of Hemp Sesbania. 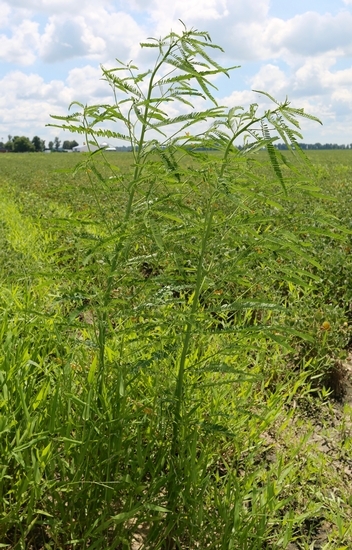 Hemp sesbania may also be confused with Partridgepea (Cassia fasciculata), however partridgepea only has 16 to 30 leaflets per leaf and also has a distinctive spherical gland near the base of each leaf petiole.